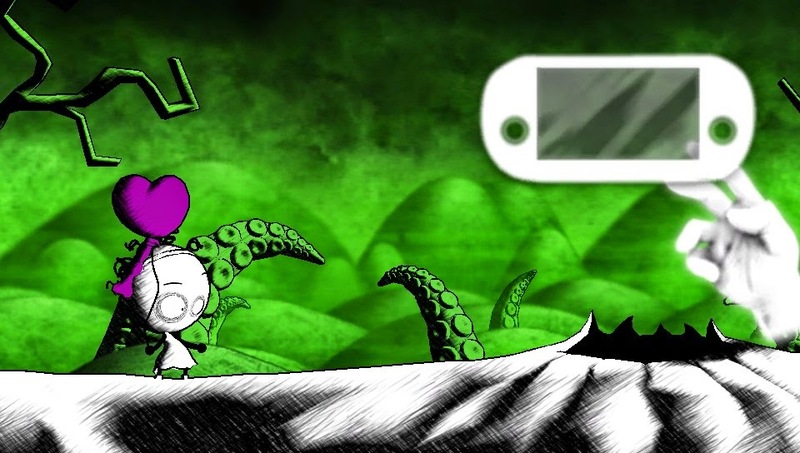 This quirky new title finds a natural and excellent fit on the Vita. Are the controls gimmicky or engaging? Read ahead! It's not too often the Vita gets an exclusive title. Usually there is a mobile version already or some PS4/PS3 cross buy title. Don't get me wrong, it is nice to get titles no matter what, but an exclusive game for the Vita is what I live to play on this console. Happily, Murasaki Baby gets high marks in all areas, despite a few hiccups. 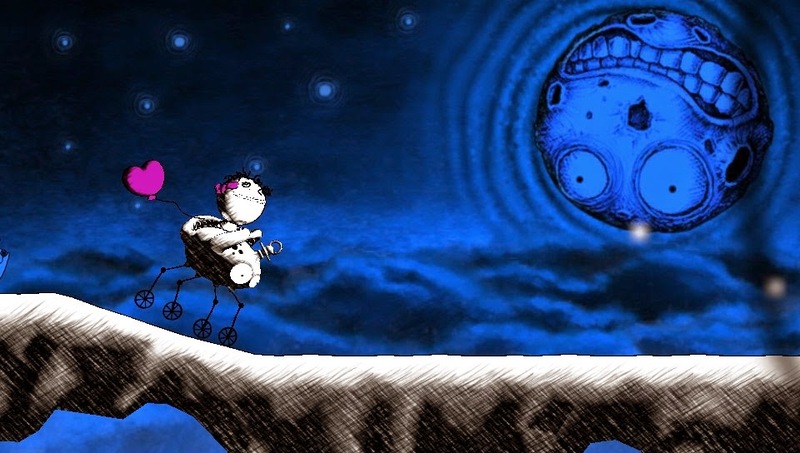 The premise of the game is that you lead around a strange little baby on an adventure to find her mother. There is a strong Tearaway vibe as you play, as you are not really controlling the heroine, but merely leading her through different levels, affecting the backgrounds to solve puzzles, and moving her heart balloon which must not be popped. You develop a bond with the Baby by having to take care of her along the way. This helps to draw you into the creepy world she inhabits. 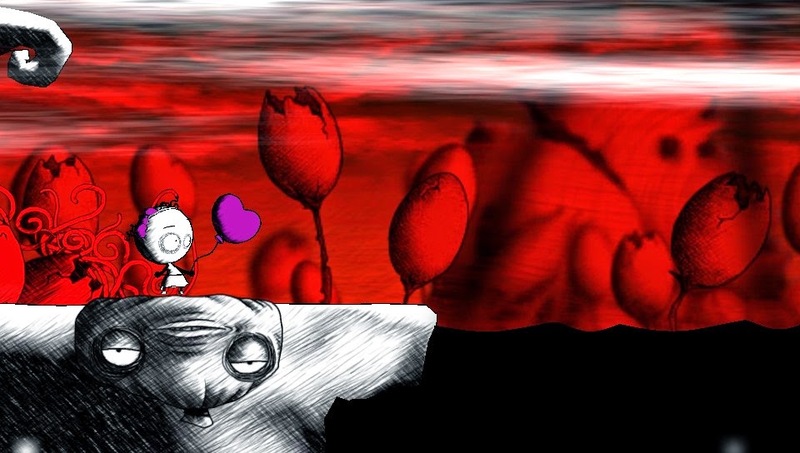 You are tasked with leading Baby along, and in fact you do hold her hand and pull her along, swiping over gaps to tell her to jump, warding off safety pin bugs that threaten to pop the balloon... but the real fun comes from the different abilities you receive throughout the game. You see a new balloon on screen and after you pop it, you are treated to a new "power." You can swipe the back screen and then activate it different ways. A quick tap on one screen "scares" the enemies. Another controls the wind. Another freezes things. You look forward to the next power and how you're going to use it to solve the next puzzle. 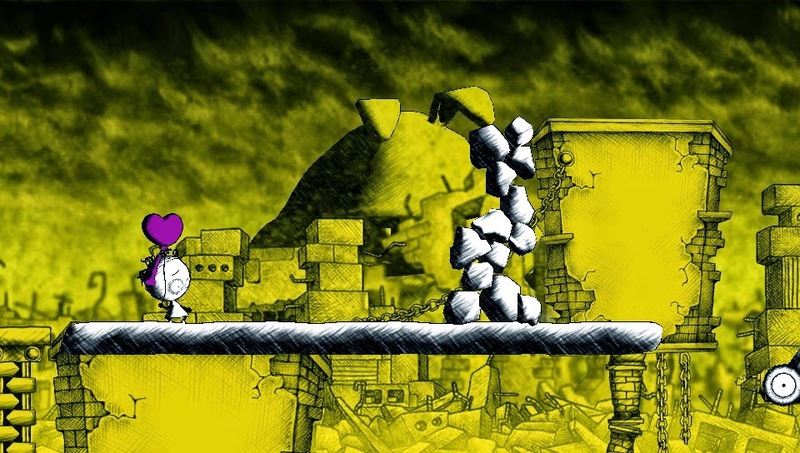 There are some cool creative puzzles you have to solve, but none seem to difficult to overcome. 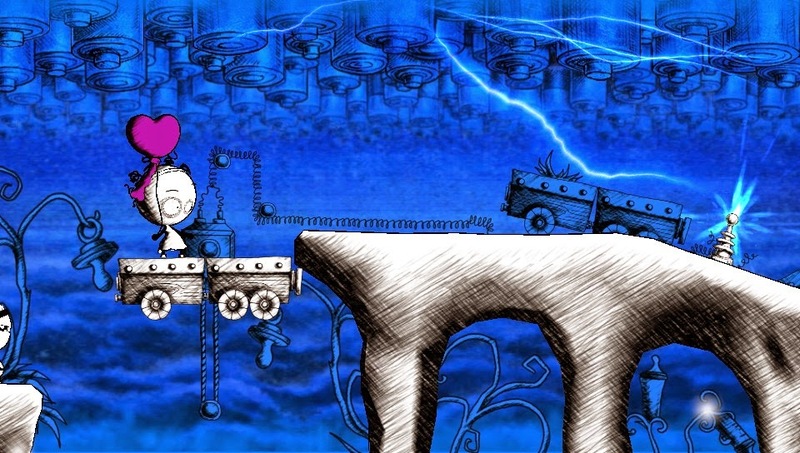 There are some timing puzzles you have to do later on when you have to turn the Vita over and also with electricity powers... the challenges are fresh and fun. One tough thing about the powers is that you don't keep them forever. When you leave a "level," you start back over without powers. You really only get about 4 at a time, but it feels too bad when you don't have them anymore. Another issue I had was the whole "leading" control scheme. You have to hold Baby's hand and lead her along, but sometimes it feels like you're dragging her, and at times you can't quite grab the hand for some reason. A couple glitches caused me to have to power the game off, since there is no "pause" screen to restart an area or whatnot. Graphics? They look awesome on the Vita's screen. 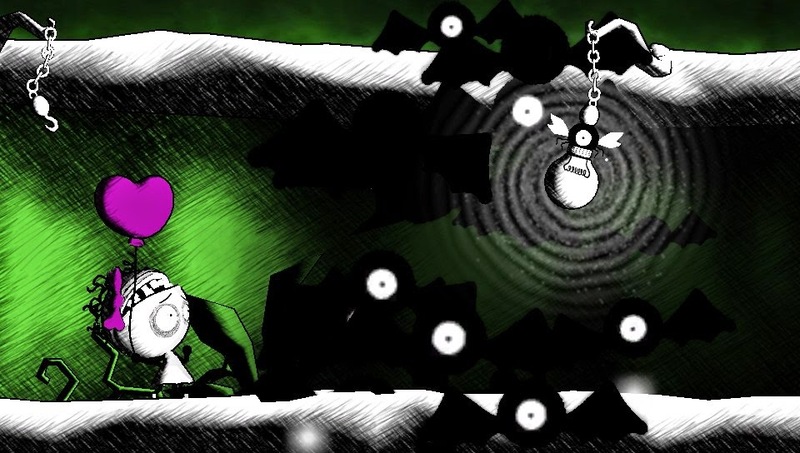 There is a creepy art style reminiscent of Jack Skellington, and the way they get the characters to move and appear is absolutely fluid. The sound effects are awesome, and the soundtrack is varied and pretty amazing too. Altogether, these create a world that you become immersed in and the story draws you in as you lead the little Baby on her path. 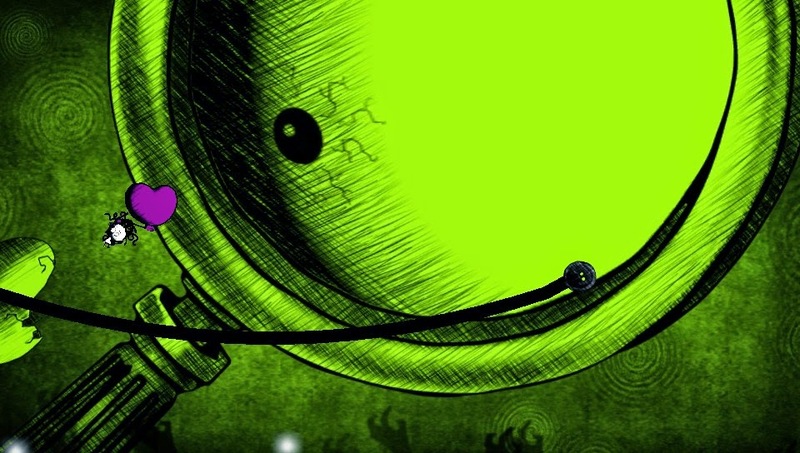 Murasaki Baby is made perfectly for the Vita. 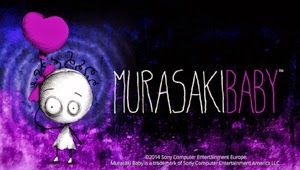 You owe it to yourself to play a game that is a Vita exclusive, and Murasaki Baby won't let you down. What do you think, readers? Have you played the game? Want to? Let us know below!